LUCIEN REID says it will be a knockout 2019 with Indi Sangha the first to feel the force. The super-bantamweight faces the toughest test of his career so far when he meets southpaw Sangha (9-1) at London’s Royal Albert Hall at Friday March 8. London’s 2013 ABA Elite champion said: “Sangha is a tricky fighter, but he hasn’t been in with anyone as tricky as me or with an amateur background like mine. “I boxed all around the world so I know how to deal with people very easily. I will figure him out quickly and take him out very early. “One million per-cent I am getting back to stopping someone. He has a good record and will actually come to fight. “The last three opponents have all come to survive. I have hit them once, they have felt a bit of power and run away and it is the worst thing ever. The British super-bantamweight title is currently vacant and Reid hopes that the British Boxing Board of Control might consider matching him against Jazza Dickens for the vacant title. Reid, 25, added: “I wants belts this year. I thought the Sangha fight might have been for a title given our records, but I need to fight someone like this to show I’m at a good level. “By the end of this year I want to be British champion. The title is vacant and I don’t see many that could bother me. “There are some fighters who look to be going in another direction, but there are plenty others where I would get the chance to fight for the British title outright. “It is a winnable title and I reckon they will try and nominate Jazza Dickens for the vacant belt. “I know he is a tough man, but when he comes up against a skilful boxer it is different. He can have a fight, but try having a fight with someone like me who can box. “I know how well I can fight and with the team around me I don’t need to worry about people. “I am sparring with Michael Conlan and Ryan Burnett. Charlie Edwards and Jordan Gill also come down. That is crazy sparring. Sangha, 23, won his first nine fights, but suffered a setback in June when he lost against experienced English champion and former Commonwealth title challenger Michael Ramabeletsa. Elsewhere on the show at the Royal Albert Hall, Nicola Adams OBE will look to make history and be the first female crowned World Champion at the venue as she challenges for the WBO World Flyweight Title on International Women’s Day. Daniel Dubois follows in the footsteps of British heavyweight greats to fight at the Hall and takes on Razvan Cojanu in his tenth fight. 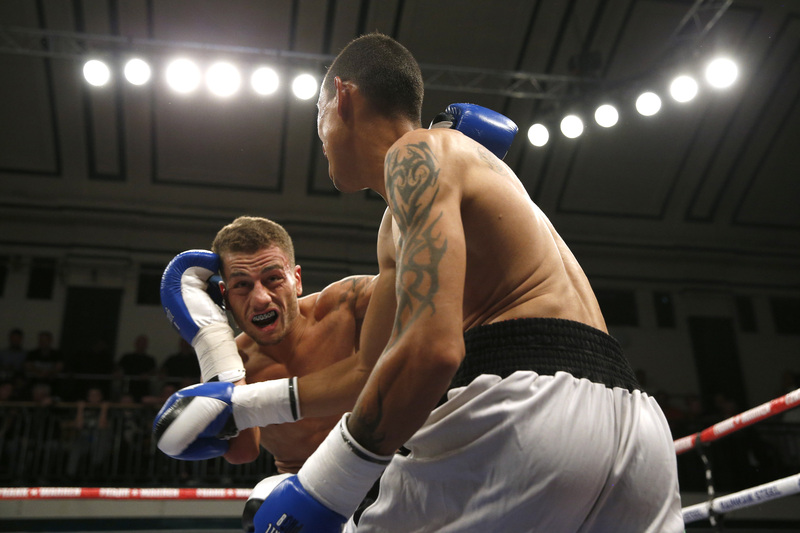 Liam Williams puts his newly won British Middleweight Title on the line against Brentwood bruiser Joe Mullender. GB Flyweight Harvey Horn and Cruiserweight talent James Branch also return.